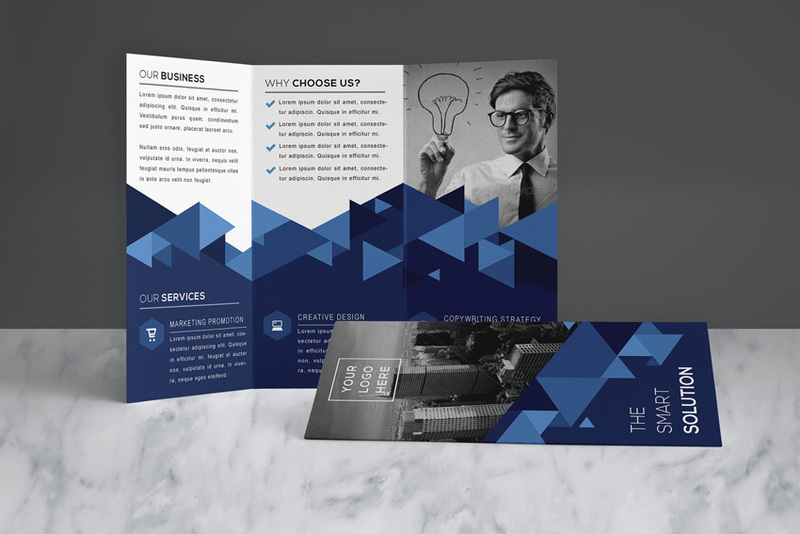 Well designed brochures are a great way to market your company to new customers and inform them about how your products are designed to help make a difference in their lives. Poorly designed ones, however, are a sure shot way of ensuring you not only alienate these customers for life, you also end up losing a lot of potential business and investment. That’s why it’s so important to understand all the tips and tricks that go into effective brochure design. You don’t want to end up with a leaflet that’s as bland as watching paint dry on a wall, or one that’s so cluttered clients don’t even bother reading it. When designing any form of marketing material, the most important thing to understand is how your customers think and process the information presented to them. Is a leaflet really going to make an impact on the reader if it has 2 pages of text about your company’s history, and only a few lines about what makes your products so great? No! In fact, most readers will quit reading about halfway through! Instead, use the space available to you to highlight the benefits of your services and products. Don’t just tell them, sell it to them. The most effective marketing campaigns are those that explain why a consumer can’t afford to live without the product! The easiest way to accomplish this is by incorporating client testimonies. If your customers see how your products have helped other people, they’ll be a lot more willing to trust your brand. Most marketing campaigns underestimate the creative options that are possible with brochures. Everyone plays around with the fonts, images, and colors, but most designers fail to see beyond that limit. To set yourself apart, you can incorporate functionality and shapes into the pages of the pamphlet itself, which is a design element that is usually ignored. Be creative with the inserts. For example, a construction company could have their booklets designed in a 3-D shape resembling one of their signature buildings, or the pages could open up to reveal pop-ups of the different structures they specialize in. In a competitive market, finding a design feature that gives you an edge can make all the difference between success and failure. During the design process, a lot of designers forget about the most important thing: the text which delivers the brochure’s intended message. The paragraphs should be kept short. Ideally, use bullet points to illustrate the product’s key features and benefits. Now that you’ve designed an attractive booklet, it’s time to capitalize on the reader’s newfound interest by motivating them to get in touch with you immediately. You can do this by including promo codes within the text for special discounts, mentioning that stocks are running out, or including free giveaways. Make sure your contact information is present and visible somewhere on the pages! Lastly, make sure you consult with a professional. Companies that specialize in printing in Dubai are your best bet for this purpose. These companies work with some of the biggest corporations in the world, and understand customer needs better than most. Not only will they help you with the design, they’ll also print out your brochures in whatever quantities you require.